State Councilor Wang Yong urged more efforts in strengthening food safety work during the launch ceremony for China Food Safety Publicity Week, held on July 17. He stressed relevant departments should enhance food safety work with high standards, tight supervision, severe punishment and an authoritative accountability system to safeguard people’s well-being and further enhance their sense of gain. Wang pointed out related departments should be fully aware of the importance and urgency of food safety and prioritize tasks fundamental to people’s livelihoods. He also called for deepening overhaul in the field to further crack down on illegal and criminal activities that pose threats to food safety. Supervision, he said, should be innovated and improved by adopting a better-developed reward and punishment system. 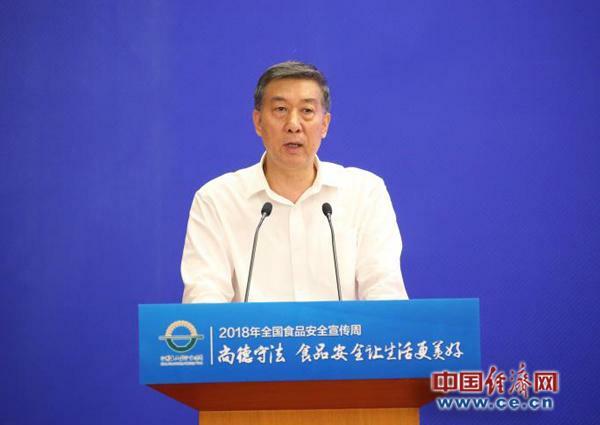 In addition, Wang emphasized the significance of public supervision and opinion in turning the issue into a code of conduct for the whole society.